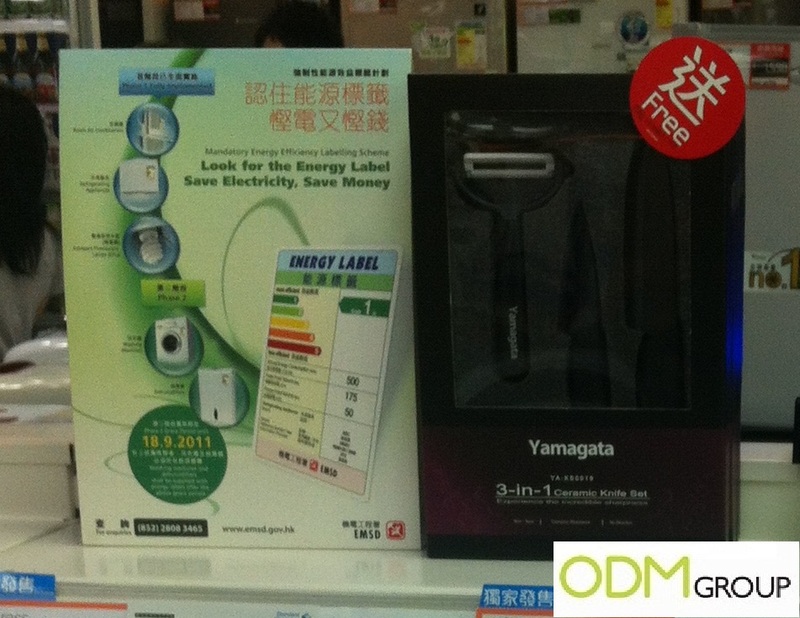 Fortress is a leader in the electrical retail market and is the largest electrical appliance chain stores in Hong Kong. Recently, ODM staff spotted a gift with purchase promotion in its stores. With any purchase of Fortress brand Washing Machine, one would receive a set of 3-in-1 Ceramic Knife. This promotional gift set is comparatively light weight as the same size stainless blade weighs significantly more. The ceramic knife do not pit, rust, or corrode. Hence, it is no doubt a great addition to your kitchen tools. On top of acting as an incentive product that encourages sales, the branded knife set is capable of increasing brand awareness as well! In this case, it really promotes Yamagata! Don’t you think it would have been better to put the Fortress logo on that promotional set? It would be a good way to maximize return on investment for this marketing campaign!